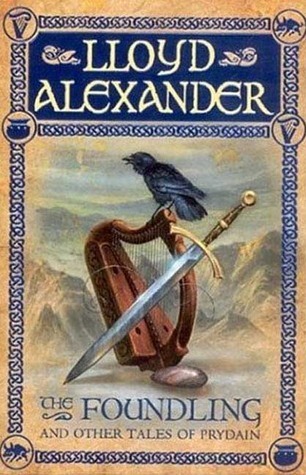 I really enjoyed Lloyd Alexander's Prydain Chronicles (five books in the series). This book has eight short stories that all relate to the five other books. I found these stories really interesting and they helped me understand the books better. Some of the stories were of events that I had really wanted to hear about (such as the first story, about *SPOILER ALERT select the white text only if you dare! * Dallben being found by the three witches Orddu, Orwen, and Orgoch. The stories were fun and a quick read (I read the book in about half an hour - but I'm a fast reader, so don't be disappointed if you take longer or something like that ;P). They are formatted almost like fables, with each one having its own moral. Perhaps it does not have much character depth, but they are short stories, are they not? Good for children, but I think older people can enjoy it, as well (I certainly did!). And isn't that what makes a book good? That the morality is fine for a child, but an adult can enjoy the book.